This may come as a surprise to you, I know it sure as heck shocked me, but apparently? I’m psychic. Over the last couple of podcasts, first by myself and then in conversation with Cherry I wondered “Whatever happened to We Got Married?” It had been a while since I’d heard anything about it. Or thought about it at all. Usually, variety shows that reached the heights of popularity that this one did don’t just fizzle out. They either go out with a bang or fizzle then get revamped and come out again with a new twist. We Got Married? Nothing. Hence my wondering. Then? No more than a week later, a news article comes out. A revamped version of We Got Married is about to premier. If you’re new to the world of K-Variety, let’s fill you in. There was once a show called We Got Married where a pair of stars were matched up and had to pretend to be in a relationship, get married, and ‘live together’. It went on for many years with lots of different starts pairing up. There was even an international version where K-Stars were matched up with international partners. Some pairings were ho-hum, some were instantly watchable. The new version which was just announced is the same premise, a pair of unmatched celebrities will be paired up into a faux relationship. The change here, instead of random people watching and commentating the video, it will be the celebrities parents. Yep, the show is called Inlaws in Practice. What a clever idea! I’ve never really been a fan of the shows who have those people watching the actions, I don’t really see the point of them. This though, half of the entire concept of the show depends on this commentary. The first pairing will be Nam Tae Hyun and Jang Do Yeon. Nam Tae Hyun is formerly from Winner and is now the leader/creator/everything behind the rock group South Club. 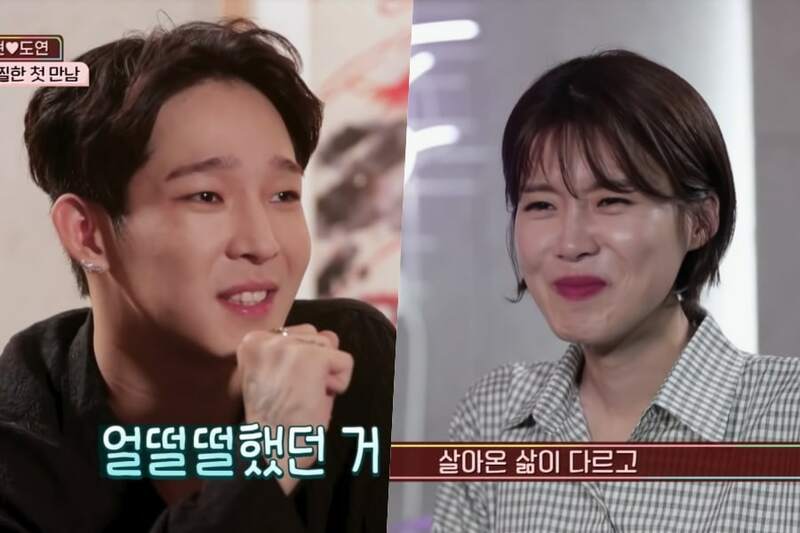 Jang Do Yeon, a comedian, is nine years Nam Tae Hyun’s senior and turns out, she was previously on We Got Married, paired up with Choi Min Young. Hmm… so older AND previously married? I wonder what Mama Nam is going to think about that? And I say, slow your roll Mama Nam, not only is your son totally cool with the age difference (giving all older fans a glimmer of hope) he also has 3 big dogs and a bunch of cats he keeps in his small apartment which also doubles as a studio — let’s not be too choosy. As with other seasons of We Got Married, there are actually going to be three pairings per season the second pairing being Mijoo and Kwon Hyuk Soo. Minjoo is from Lovelyz and Kwon Hyuk Soo is an actor/comedian. The third pairing is Kyungri and chef Austin Kang. Kyungri is from the group 9Muses and chef Austin Kang is a chef. 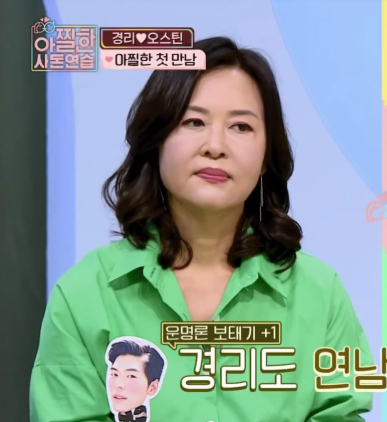 The look on Austin Kang’s mother’s face is HILARIOUS. Come on, doesn’t she look like a Kdrama Mama? “You better not think you’re good enough for my boy.” Of course, I haven’t seen the show. It’s entirely possible she’s embarrassed over something her son said/did/didn’t do/didn’t say. This isn’t completely out of the realm of possibility…it’s We Got Married which is chock full of cringe-worthy moments. The show is on TVN. I’m not sure if I’m going to watch, although currently I’m super facinated by Nam Tae Hyun (did you see his cameo in YG Future Strategy Office? SO funny.) We Got Married was never really my cup of tea. My wondering of where it went was more of a “huh” then a “wahhh where did my show go?”. 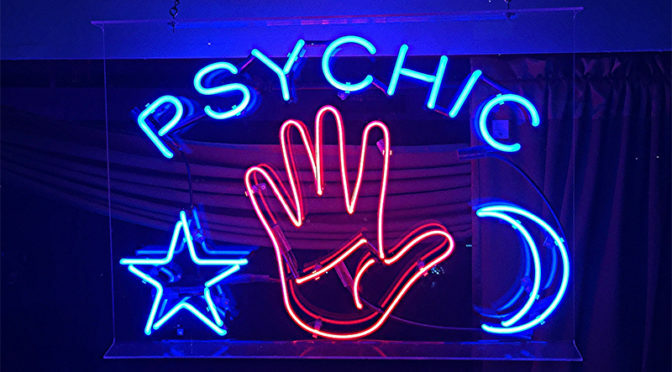 Now…what can I psychic up next??? Can I put in a request for what to psychic next?